Caldera Records is proud to present the original score for the motion picture “Wild Geese II” from 1985, directed by Peter Hunt. 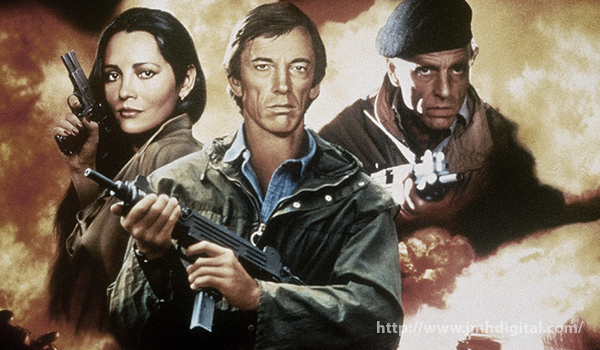 The film is loosely connected to “The Wild Geese” from 1978, starring Richard Burton, Richard Harris and Hardy Kruger. Unfortunately, Burton passed away shortly before the filming of the sequel began and some sections of the screenplay had to be re-written. The story revolves around top level Nazi Rudolph Hess (Laurence Olivier) who has important intel on prominent political figures. Ruthless TV executives Michael and Kathy Lukas (John Terry and Barbara Carrera) want to get him out of his Spandau prison to appear on live television. Faulkner declines their offer to lead such a mission, but recommends Lebanese American soldier turned mercenary Haddad (Scott Glenn) as a substitute who agrees to take on the mission that soon turns into a nightmare for everyone involved. The music was composed by Roy Budd (“Get Carter”) who had already written the music for “The Wild Geese”. Budd had to create new musical material for the sequel and delivered a more contemporary direction for underscoring the mission. Besides the funky action music which is the obvious main draw of the score, there are plenty of other great moments in the score, such as a catchy main title march and the soulful ballad “Say You’ll Be Mine”, sung by Peter Hoffmann and dedicated to Budd’s wife Sylvia Budd who served as co-producer of this album. 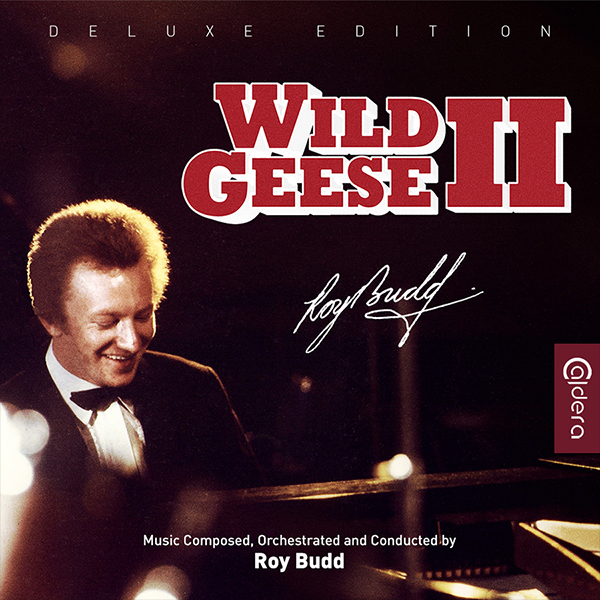 This release of “Wild Geese II” fills an important hole in Roy Budd’s discography. A soundtrack was originally released on LP by CBS Records, but it had no legitimate CD release since then. The score was carefully restored and mastered from the original tapes. Recorded with the London Symphony Orchestra, the music sounds as fresh as if it was recorded today and stands as one of Budd’s very best works. The 22nd CD-release of Caldera Records features a detailed booklet-text by Gergely Hubai and an elegant artwork by Luis Miguel Rojas, excerpts from the handwritten score, a detailed biography of the composer, as well as an exclusive audio commentary by the composer’s wife, Sylvia Budd. The CD was produced by Stephan Eicke, John Elborg, and Sylvia Budd. When a independent label such as Caldera Records get the chance to release a score to a film, like "WILD GEESE II" by well-known late great composer Roy Budd... you better believe that is a very great release. I am thrilled it's here and being able to share the news with you, it's classic 80's sound, just what you would imagine it would be... though it goes a little further in it's power and intrigue. BRAVO!